Logan is haunted by some memories of the past, and who would have thought Jean Grey may be a part of all that. It's not a maybe anymore since Jean Grey is actually coming back for The Wolverine as preempted by the following character poster. This is by far the fifth among the line of brush painted-themed posters from the movie -- the first batch of which include Logan, Yukio, Viper and the Silver Samurai. Will Jean Grey be limited to Logan's dream sequences and memory flashes or will he see her in flesh and blood? 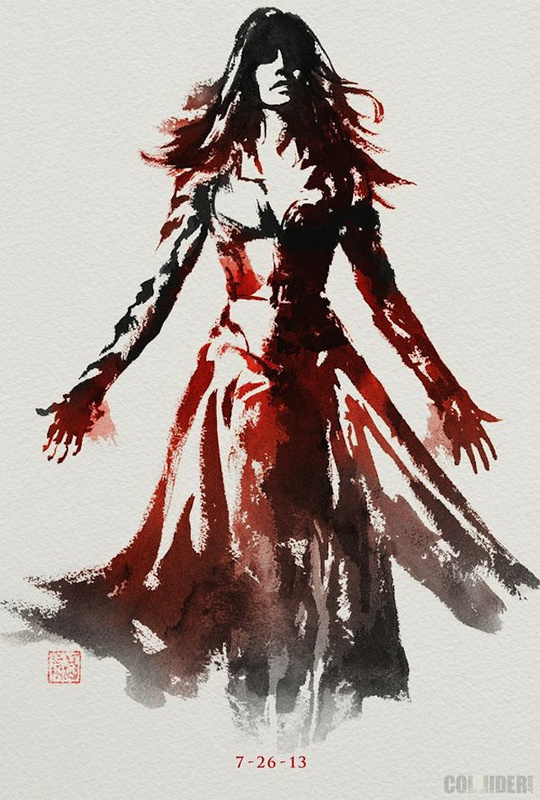 Here is Jean Grey's character poster for The Wolverine. Watch out for The Wolverine's release on July 26, 2013 to know how Jean Grey will come into play.